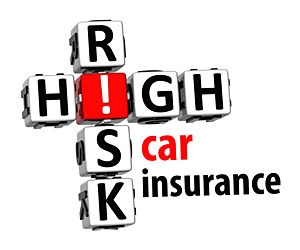 There is a special category of insurance called auto insurance high risk. This article was prepared using expertise of a certified auto insurance broker to inform canadian drivers about this topic. We will discuss who is considered a high risk driver, what premiums they pay, what companies offers insurance for “dangerous” drivers, and when one can stop being a high risk driver. High risk auto insurance : when do you need it ? – two at fault accidents in the last 10 years. – two or three tickets in the last years. Auto insurance itself is not cheap in Canada, with Ontario having the highest price, an average of $153 / month. Being a high risk driver can result in far more expensive insurance premiums. Our data come from Insurance price comparison tool which is based on aggregated consumer data. It helps to compare your insurance premiums to the premiums paid by your peers. High risk car insurance premiums : what should I expect ? Special auto insurance for high risk drivers. High risk car driver. Auto insurance costs vary significantly across Canada, depending on the province. On average drivers with 2 or less violations in the last 3 years will pay approximately 25% more than someone without any violations. For example auto insurance drivers in Ontario with extensive auto insurance coverage (including liability, collision, comprehensive damage, and increased accident benefits) pay on average $150 / month whereas those who have a maximum of 2 violations in the last 3 years need to consider an average of $184 / month meaning an increase of 23% for the same coverage. In many cases the high risk auto insurance quotes can be doubled or even tripled depending on your driving history and other factors. Premiums also vary depending on if a driver already has insurance with a particular company or applies for a new policy with another company. Your existing company is more likely to simply push you to the higher level of premiums if you become a high risk case. The requirements for a new policy are higher, insurers normally do not like high risk drivers leaving a limited choice of companies for those who have bad driving records. What are high risk auto insurance companies ? As soon as you fall into the category of high risk driver, many companies will refuse to insure you, especially if you decide to apply for a new policy at a different company. The companies that will insure you will do so at a higher premium. There are also some insurance companies specializing in high risk auto insurance, called specialty insurance companies. There is also an organization called Facility association which is “funded by the private property and casualty insurance industry that makes insurance available to” higher risk “drivers who wouldn’t otherwise be able to get insurance”. This association does not issue insurance policies but works with specific insurance companies that issue policies and handle claims on its behalf. You can become a safe driver again, if you change your driving behaviour and your risk profile improves. It takes 3 years for any tickets to come off your record. It takes longer to get rid of demerit points, here accidents will affect your driving record for up to 6 years. Also if you have a history of not paying your auto insurance premiums, it can impact your ability to get a policy and possibly the price you have to pay. We hope you will avoid becoming a high risk driver : it is safer for everybody on the road and helps out your wallet too. Drive safely !